Friday, 22 March 2019 - Since 2017, Alibaba Group and United Nations Conference on Trade and Development (UNCTAD) have jointly organized a program called The eFounders Fellowship. It is part of a pledge by Jack Ma, Alibaba Group’s Executive Chairman and a special advisor to UNCTAD on young entrepreneurs and small businesses, to empower 1,000 entrepreneurs from developing countries in 5 years. 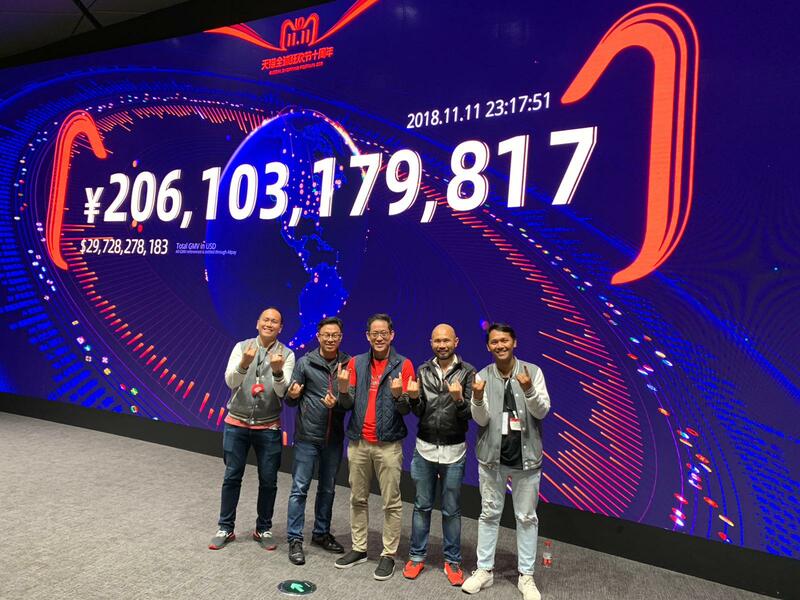 The program provides first-hand exposure to e-commerce and digital innovations, access to business leaders across Alibaba and China, as well as an opportunity to connect with like-minded, leading entrepreneurs. In that program, entrepreneurs will learn the key factors in Alibaba’s long-term success, defining moments and failures that have shaped Alibaba’s journey (including the early stages of development), and also an understanding of Alibaba’s ecosystem. Last year, East Ventures as one of the most active global seed investors with a strong record in supporting more than 300 startups across Asia, was appointed to be the program advisor. The two Managing Partner and co-founder, Willson Cuaca and Batara Eto, shared insights and experiences from their local markets, including tips on how to grow an entrepreneurial community within their respective digital economies for the 40 participating startups from 11 countries. Past participants including three Indonesian startups - Warung Pintar, Bizzy, and Sociabuzz - also joined the 4th edition of the program and felt the benefit of it. Since the beginning of March 2019, Alibaba Group has opened online application for the new batch of The eFounders Fellowship named Class 6. Startup founders from Indonesia, Cambodia, Malaysia, Philippines, Thailand, and Vietnam are welcomed to apply. * A founder or co-founder of an officially registered startup that has been in operation for at least two years. * Company must be headquartered, located in, or operates in Indonesia, Cambodia, Malaysia, Philippines, Thailand, or Vietnam. * Provide at least one referral in your application (referrals from a partner/organizer/eFounders Fellow like East Ventures are preferred). * Provide your official business license when requested during the application process. * Entrepreneurs below 35 years old, female entrepreneurs, and target country locals are strongly encouraged to apply. The program will cover all training costs, site visit transportation, and daily meal allowance for lunch and dinner. Participants only need to prepare air tickets and transportation to and from Hangzhou, hotel accommodation, and personal expenses. The application is open from March 1st to April 7th, 2019. If you want to join the community of passionate and successful “Champions for the New Economy” also looking to inspire and create a more inclusive development model, you can apply through the link below.